Onsite experience. The basis of onsite efficiency. Where’s the best place for a one- or two-hundred tonne crane? The best use of a second crane? What time should we bring up our flat-bed trucks? It’s where trained operators, knowledgeable teamwork, are critical. Because we’re an experienced team we understand the importance of precise movements, exact positioning. Just as important, we know how to react to the next necessary move. When will the drilling crew have cleaned out the mud tanks? When will they have the handrails off and strapped down? If you want more time before these lifts, we’ll confer with the rig manager, and go on to those other ones. Whatever's the best use of time, the best use of our resources and yours, that's what we'll be focused on. It means we can have the right trucks, the right cranes, the right operators, right there at the right time. And deploy them just as you need. Simply, we know how to fit in. Throughout, our director, supervisors and operators watch, listen, react, respond. At a senior level, we’ll be in minute to minute liaison with rig managers, tool pushers. So as soon as the handrails are off the mud tanks, or the pins out of other pieces of plant, we’re ready to lift them. 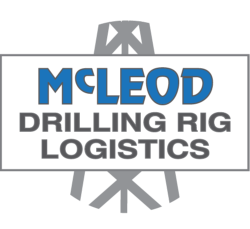 It means the rig manager, the tool pusher, the driller, floor hands, riggers and lease hands, can focus on, and concentrate on, their tasks. Knowing we’re right at their side. We'll be ready to lift just as your people are ready with tag lines. Our role comes down to this. To be relied on. When and where we’re needed. Safe. Safer. Safest. No compromises. Safety. It’s not a section on its own. It belongs with, is integral to, every activity we’re involved in. Drilling rigs and their surrounds are hazardous environments at the best of times. Exceptionally so. When you’re dismantling a rig and its equipment the hazards may not markedly increase. But they shift. They’re in motion. They're overhead. And they’re more widely dispersed. It's where our specialisation comes into its own. It’s an environment every one of our operators is ready for. Our training programmes, our operational systems, our safety record, are probably second to none. Every one of our cranes, from the lightest to the heaviest, is linked to a comprehensive, digital, real-time, operational management system – unique, we believe, in the industry. And then there’s our lift engineering expertise. Also likely unmatched. In Peter McLeod we have a qualified engineer leading our drilling rig logistics team - previously Installation Engineer on the Saipem 7000, the largest semi-submersible crane barge in the world. So when it comes to total technical assurance, it comes with our name. There’s more we could say. About the crane guidelines we’ve introduced for the Crane Association of New Zealand. About our repeated national health and safety awards (one, as it happens, for systemising the safe transport of casing). About the calibre of our people. But we’re not concerned with talking. We’re concerned with the job in hand. As you are. Shifting the rig. Safely. Efficiently.